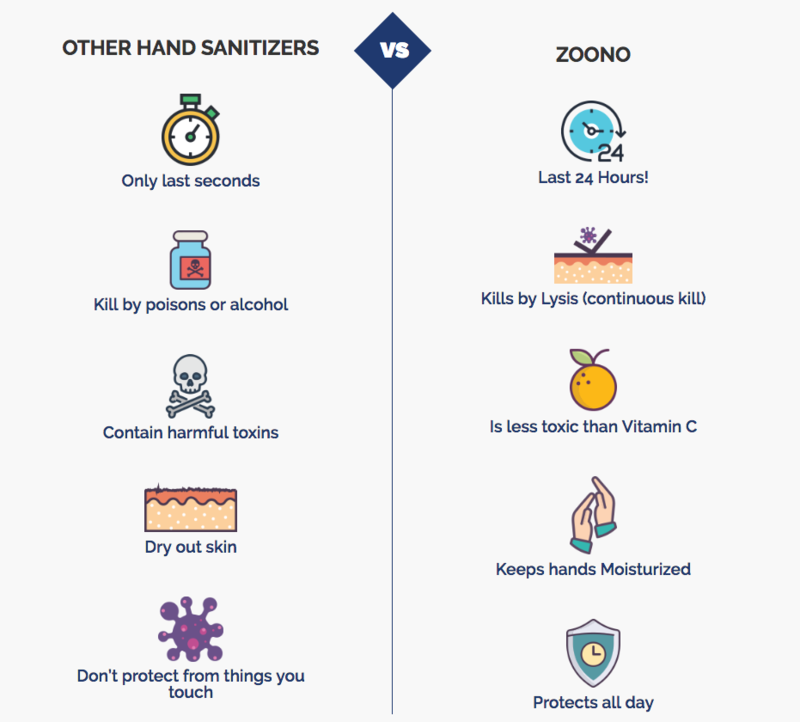 Because of Zoono’s unique formulation, no other product on earth can more successfully combat germs as safely and with the long-lasting effectiveness of Zoono. No other product has the proven efficacy in more countries or against more pathogens than Zoono. Unlike the household disinfectants that use toxic chemicals to kill germs, Zoono is a safe, nontoxic antimicrobial solution. It is simply a sword-like molecular compound capable of forming a permanent bond to a multitude of surfaces. A single application of zoono kills 99.99% of germs immediately and keeps working continuously for up to 24 hours on skin and lasts for up to 30 days on hard surfaces. Pathogens identified as effectively addressed by Zoono, does not reflect the activity of the product in liquid form, but rather once the product is dry and bonded to a surface. Note: this list is a compilation of data from multiple reference sources as well as direct lab testing from accredited laboratories from around the world.